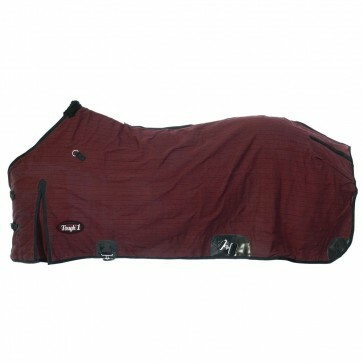 Tough-1 Storm-Buster West Coast Blanket - Burgundy - 81"
From the original TOUGH-1. Medium weight 15.5 oz coated canvas lined with a blend of warm acrylic/wool. A secure fit is provided by the west coast surcingle and leg straps reinforced with leather. Water repellent, 100% color fast, strong nylon web binding, and straps. Double buckle front.